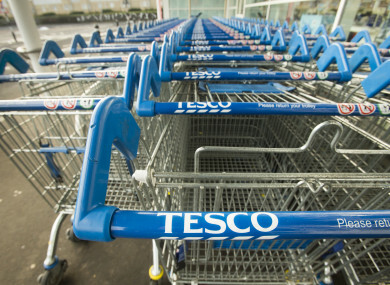 Tesco is promising that the store will be environmentally-friendly. TESCO IRELAND WILL today open one of its biggest stores in the country in the west of Dublin today. The retailer will unveil its new €30 million, 60,000 sq ft Tesco Extra store in Liffey Valley. Tesco says that the new store will employ 175 people and that the majority of those new jobs have already been filled by local people. It is the largest store Tesco has opened in Ireland in the past eight years and it will have 440 car parking spaces. Tesco says that the new store has been built to be environmentally friendly with a carbon-efficient design and energy-saving features including advanced lighting, heating and cooling systems and waste recycling facilities. Tesco Ireland directly employs over 13,000 people across the country. Email “Tesco is opening a huge new store in Dublin today”. Feedback on “Tesco is opening a huge new store in Dublin today”.